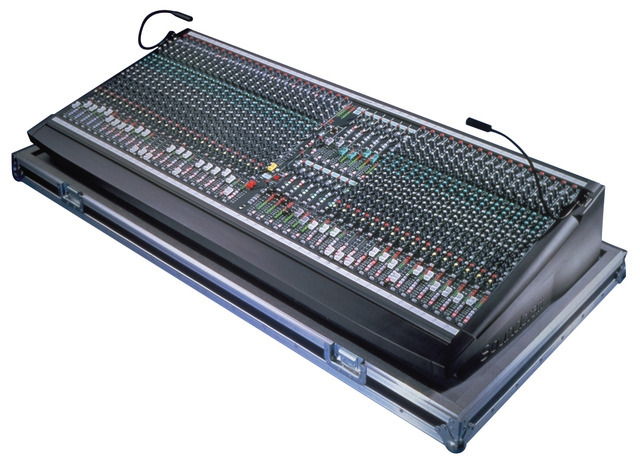 Monitor consoles do not have an easy life - subjected to heat, dirt and the rigors of touring, they are expected to work reliably and sound good every night of the week. Soundcraft’s reputation for high spec professional audio equipment is well-known and the new generation of Stage Monitoring consoles are all set to become the new industry standard. The SM12 is a full-spec professional monitor console offering twelve mono plus one stereo sends for use in touring or fixed applications. As the smallest console in the Soundcraft ‘SM’ range, the SM12 still offers the high level of facilities found on the world’s top monitor consoles. Soundcraft’s advanced solo system (as used on the FIVE and FIVE Monitor consoles) speeds up soundchecks and reduces the risk of feedback; instant pre-post switching allows more flexible mix arrangements, and a four-band overlapping sweep EQ gives optimum control of each sound source. But the SM12 is not just an engineer’s dream; it is a practical solution to a wide range of problems faced by venues and rental companies alike. Available in 32, 40 and 48 channel frame sizes, its modular design allows for future expansion and ease of maintenance. The compact frame reduces on-stage space requirements, while the power supply design increases reliability under unfavourable conditions. Soundcraft’s design expertise has produced a cost effective console which sounds superb in every on stage situation, but works equally well as a front-of-house mixer. In fact, with logical sub-grouping and an advanced solo system, the SM12 out-performs many traditional front-of-house consoles.